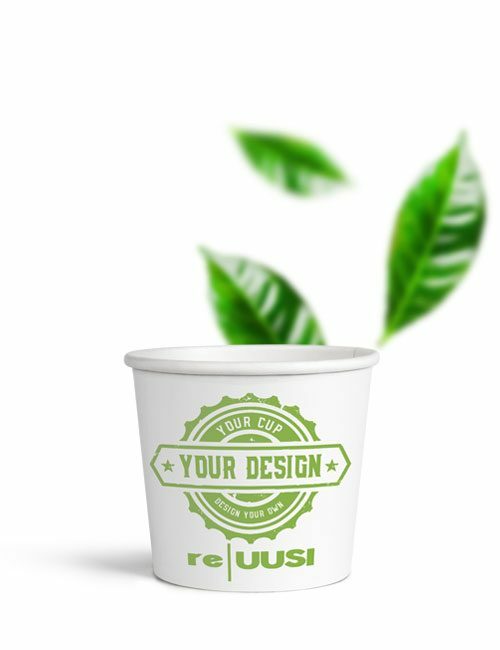 At last, eco friendly paper cups for hot and cold drinks that are acceptable by conventional paper waste plants thanks to the groundbreaking EarthCoating® lining, that has up to 46% less plastic, the remainder of which easily splits from reusable paper during the recycling process. 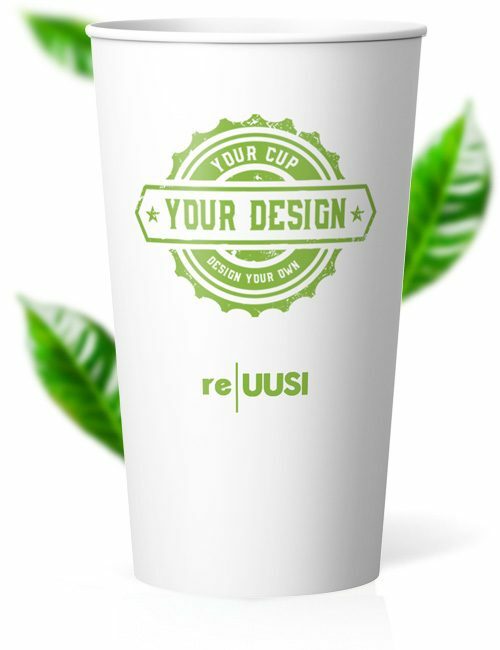 Enjoy hot drinks, or serve cold drinks with confidence that your brand’s represented with the highest quality printing and finishes – and that you’re doing your bit for a cleaner planet. 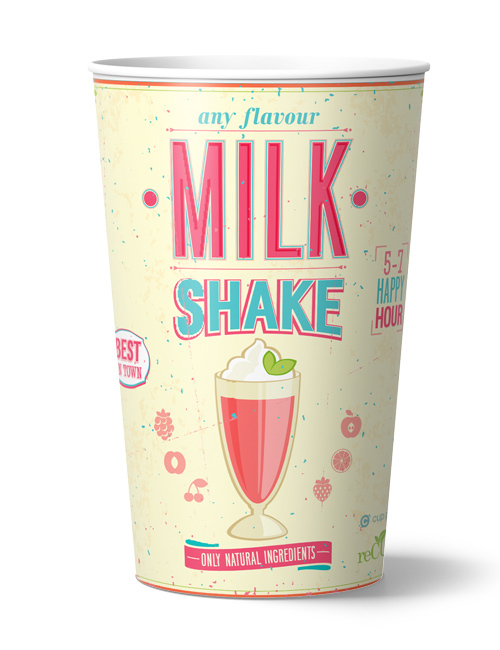 Be it 1,000 or 250,000 16oz Single Wall re|UUSI eco friendly paper cups, we can deliver and design custom printed paper cups for your small and large orders. 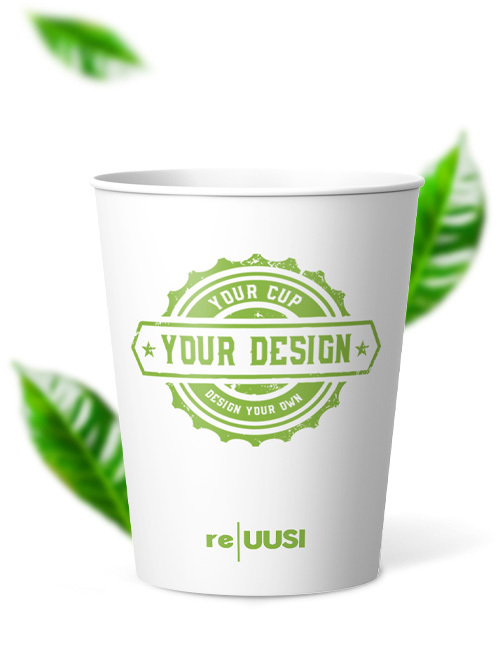 Your requests will be processed as quickly as possible and your CupPrint paper cups will be delivered to you within 14 working days! 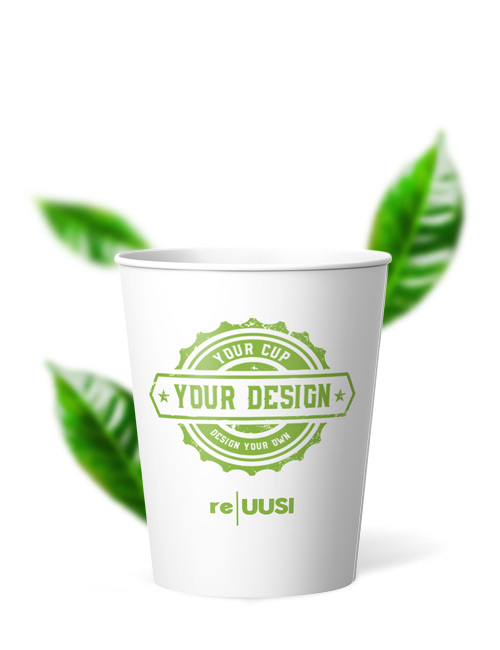 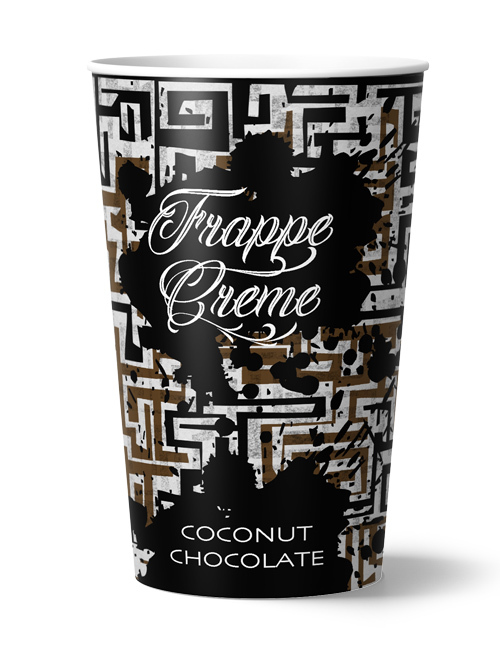 Advertise your business or next event with our custom printed paper cups. 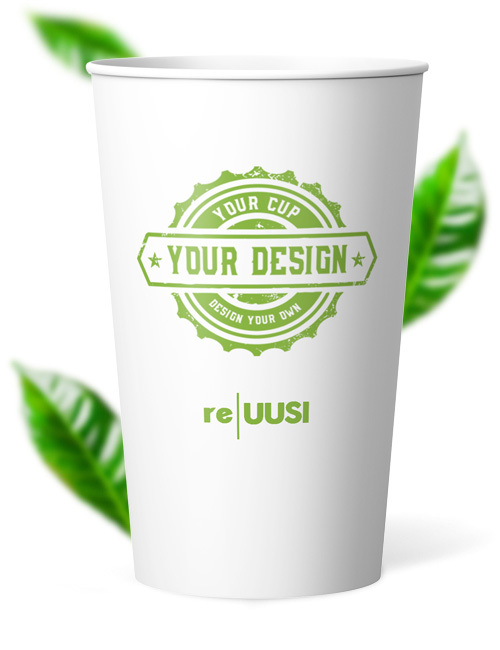 For your individual Single Wall re|UUSI 16 oz design we provide you here our rectangular template as PDF for download.